We have had some great days around her lately!!! Summer is going well!!! This has been something that I have stressed about for the last 3 months! The though of having 4 kids around... 3 of which are in the prime of sibling rivalry..... 1 that needs to continue with extreme structure.....caused me much anxiety! Now that it is here it seems to be going alright!!! Of course there is fighting, mess making and boredom but all in all is has been much better then I imagined!!! We are now less then 2 weeks away from starting our summer adventures!!! Oh my!!! I am so excited!!! Disney is going to be great! Finally after 2 years we are going to go do something fun as a family!!! We have earned it!!! This weekend was quite and Fathers day was good! Life never stops but we were able to sit down to a nice lunch together! Makenzie has been working so hard!!! She is doing great in therapy both with her therapists and her mommy!!! We have started getting her into her neuro suit more as she really needs the input!!! She has done AWESOME in her walker as well!!! On Saturday I made a few more adjustments to it and WOW! That little girl never stops amazing me!!!! I put her in it and went to strap her in and she took off! Ok in context... taking off to her means she tried to take steps before I even got her strapped in! She just loves to walk! The sad thing is that there is only one short hallway in our home that she can walk in as she is not strong enough to push herself on the carpet!!! I put her at one end and she has been walking all the way to the door with out any one touching any part of her or the walker!!!!!!! Then I roll her backward and start again... over and over and over!!!! I have dreamed of this for 2 years now!!!! I am so proud!!! She just continues to be a miracle every day!!! So..... if there is anyone out there that is in the flooring business that would like to help a little girl have access to her home we would be forever grateful!!! It is so hard for me to know that she can walk and explore and not have the means to give it to her!!! God will provide!!! He always does!!! Please pray that somehow we will find a way to get new smooth floors so that Makenzie can do this!!! On the topic of walkers.... We have been searching for the right one for Makenzie for the last year and a half! Today the best seating and mobility guy in the whole world came with the last choice and FINALLY our quest is OVER!!!! We are sticking with the Rifton Pacer!! She is doing so well in it and he also thought it was the best choice!!! SOOOOOO he is allowing us to use the one he gave us to borrow until Makenzie can't use it any more... grows out of it ..... or better yet learns how to walk with out any assistance!!!! This is huge!!! No waiting for insurance approval, co pays, denials,or months and months of red tape!!!!!!!! Thank you TD!!! This means more to us then you know!!!! Amazing!!! Pray for us and safe travels! Pray for good weather and great times!! Pray for the donor stem cells to go where they need to go!!! I should be receiving an e-mail in the next couple of days with specific times for our appointments while in Costa Rica. I would like to arrange for a prayer vigil during these times each day!! We will be in Costa Rica from July 11th-July 18th with treatment on July 13th-17th. I will post the appointment times for each day when I get that information. 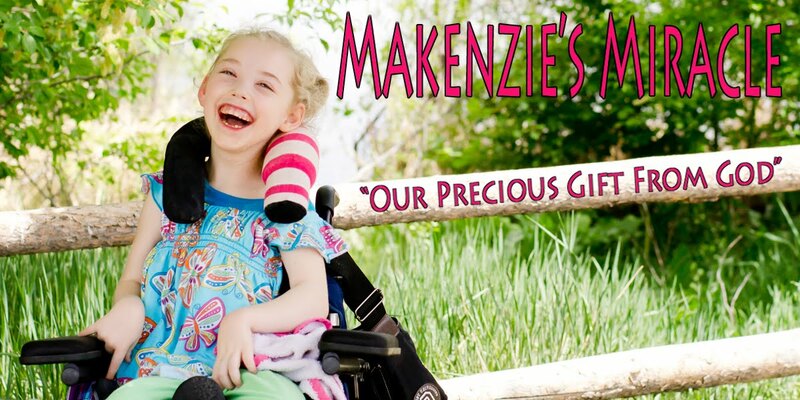 If you would like to commit to praying for Makenzie on one of those days please either leave a comment here or e-mail me at makenziesmiracle@comcast.net. Thank you all for everything!!! Keep Praying!!! Believe..... Prayer Works!! !